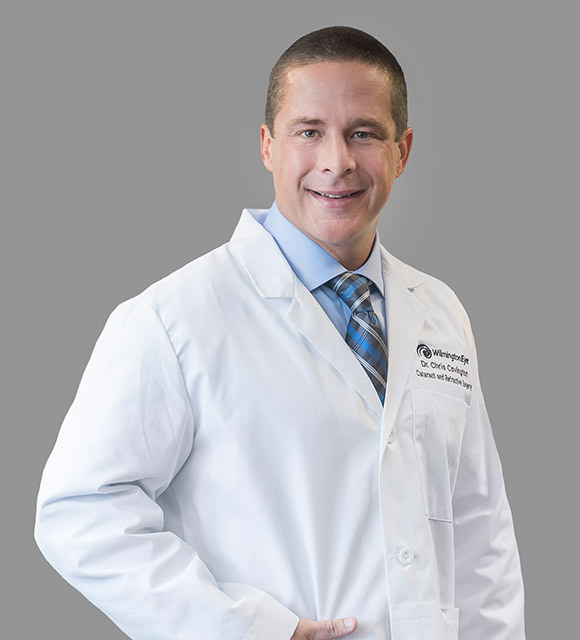 Christopher Covington, DO is a board certified ophthalmologist specializing in bladeless cataract surgery utilizing the LenSx laser, Blade-free LASIK surgery, and comprehensive ophthalmology. His experience with multifocal lens technology enables Dr. Covington to effectively treat patients who want to achieve spectacle freedom. As a comprehensive ophthalmologist, Dr. Covington is experienced with all types of conditions of the eye and can care for an array of ophthalmic conditions. Before pursuing a medical degree, Dr. Covington received an Associate Degree in Nursing in 1998 and worked in Trauma ICU at The Elvis Presley Memorial Trauma Center in Memphis TN. He completed his undergraduate studies in Biochemistry at Delta State University prior to attending medical school at Kansas City University of Medicine and Bio-sciences. After graduating in 2005, Dr. Covington completed a traditional rotating internship at Genesys Regional Medical center in Grand Blanc, MI in 2005-2006. He then went on to complete his ophthalmology residency at the Detroit Osteopathic Ophthalmology Consortium in Detroit MI from 2006 to 2009 where he consistently scored in the top 1/3 of all ophthalmology residents nationwide on annual ophthalmology knowledge aptitude tests. Dr. Covington’s professional memberships include the American Osteopathic Association, American Academy of Ophthalmology, American Osteopathic College of Ophthalmology and Otolaryngology, and American Society of Cataract and Refractive Surgeons. After completing his residency, Dr. Covington practiced in Winston Salem, NC for 2 1/2 years before returning to his home state of Mississippi. With just 2 years in Mississippi, the call back to NC proved to be too strong so Dr. Covington returned to NC with his wife, Jennifer, and two daughters, Grace & Shelby. In his free time, Dr. Covington enjoys spending time with his family outdoors and exploring Wilmington and the surrounding communities. His hobbies include surfing and scuba diving.